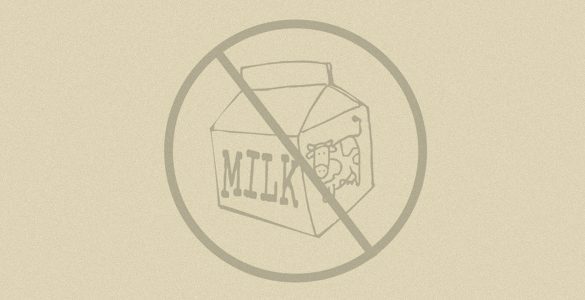 Gluten Free Dairy Free Diet: No Milk, No Eggs, No Problem! Cooking is part science and art. And even more so when you are dealing with allergies to foods that are an integral part of a recipe. Take wheat for instance. Once you convert over 100’s of recipes to gluten free, it becomes pretty easy. I can look at a recipe now and tell you exactly how to change it and I’m usually pretty close. But, I can eat eggs and consume dairy. Addressing recipes where you have to remove the dairy, wheat and the eggs becomes quite the challenge. A few things will lend themselves well to that, but almost all baking uses dairy and eggs as the backbone of the recipe. The following substitutions should help you to start experimenting with recipesÂ especially your favorites. Most of us are blessed with well stocked grocery stores and for that I am thankful. Food companies are taking up the baton and coming out with more alternatives for those of us with allergies everyday. Finding products we can use is becoming easier. Soy milk, rice milk, nut milks, coconut milk, fruit juices, water, tea, coffee, soft drinks, lemonade. One note: don’t bother to buy the lite coconut milk. It is regular coconut milk that has been watered down half and half. Why buy more water for the same price! If you want “lite” coconut milk, buy the regular kind and dilute it yourself. Look for recipes that use oil as the fat in them instead of butter. I would start a large collection of these. Try using the non-dairy creamers on the market. Soy creamers are also available. You can whip chilled coconut milk for a whipped cream substitute ( add a little gelatin to help it hold its shape). The soy based cream cheese and sour creams are very good. I can not tell any difference between them and the real thing. Silken tofu also makes a good sour cream alternative. Add to 1 cup of the alternative milk of your choice 1 tsp of vinegar or 1 tsp of lemon juice. Allow to sit for about 5 minutes so it has time to curdle. I think this is cheaper than using soy yogurt or soy sour cream as a replacement. I would invest in a countertop ice cream maker. Use coconut milk as a base. You may need to add some xanthum gum to help it hold together better. I would keep the amount small, 1/4 tsp to start, and see how that works. Even if it turns out soft, as long as it tastes, good no one will care. If you check the labels on ice cream you will see xanthum gum used in the lower calorie versions. Interesting, huh! I would also try making frozen yogurt. You can make your own soy yogurt by using a powdered soy milk. The recipe is in the Dairy Free section. It will be cheaper to make your own if you eat it alot. Â Make a lot of fruit sorbets! They are as refreshing as they are good for you. Note: use these substitutes in recipes that call for no more than 2 eggs. If the recipe for cake or cookies or pie call for more than that, try to find one that makes a smaller version of the same thing or similar. Â Egg-Replacer is available at most grocery stores. You can make your own “egg-replacer” using Flax meal. To 1 Tblsp of flax meal mix in 3 Tblsp of hot water. Let it set up for about 5 minutes before using. Use this to replace one egg. You can make a larger batch and keep it in the refrigerator for up to one week. Use 1/4 cup per egg called for in a recipe. You can use 3 Tblsp of unsweetened applesauce mixed with a tsp of baking powder. Use Firm Tofu, cut into small cubes and cook to warm. Add seasonings to taste. Use milk, or cream when an egg wash is called for. It will not give the “shine” an egg wash does, but it will allow you to sprinkle on seeds or sugar and have them stick. Please let us know if this has been helpful to you. I can not have gluten or dairy. I can adjust recipes fairly well except when it comes to cheese. I would love to have a good dairy free gluten free lasagna. I have found some excellent cheesecake recipes but can not figure out how to sub ricotta or cottage cheese. Thank you.